- Successfully completed one (1) semester of postgraduate studies at Limkokwing University or with any other accredited university and subject to verification from Limkokwing Postgraduate School. - Requires two (2) Recommendation Letters on academic performance. 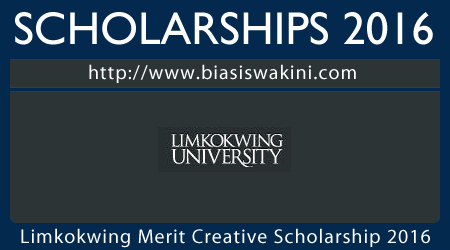 0 Komentar untuk "Limkokwing Merit Creative Scholarship 2016"